Very close to the shore, at La Londe les Maures, Figuière’s vineyard overlooks the islands of Porquerolles. 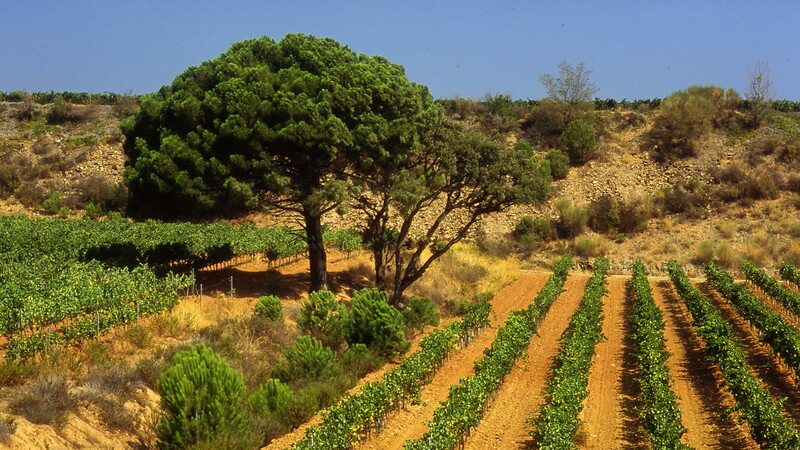 The estate spreads on 65 ha including 45 ha in vines, and 20 ha in pine trees, cork oak and eucalyptus. In 1979, to preserve this exceptional site, Figuière converted to organic production. Here, the climate is dry and hot. Moreover, the sunshine is high with 2795 hours of sun per year, essential for the proper ripening of the grapes, and particularly important for the Mourvèdre, sensitive to the sun. The soil is schistose, ranging from silver grey to golden ochre colour, breaking in thin layers, and allows good drainage for the roots to grow deep in the soil. The proximity of the sea moderates the high temperatures and acts as a thermal regulator promoting the early start of vegetation in spring, dews in the summer nights and harvest before the first autumn rains. Alain Combard, co- founder with Michel Laroche of famous estate Laroche in Chablis, decided after 22 years of collaboration and great white wine production, to come back to his native region : Provence. 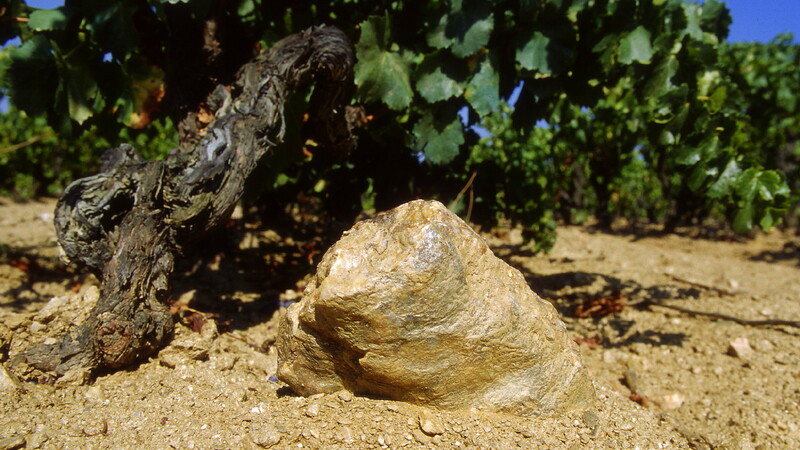 He discovered Saint André 1991, a 18 hectares vineyard (at that time) and fell in love. Quite rapidly, he decided to buy the estate, convinced by its quality and potential. White wines had no secrets for him and as for Rosés, he felt they deserved to be considered as serious wines. A few years later came his passion for Mourvèdre, a variety so well adapted to this region which had become the dominant varietal in his red and rosé blends. 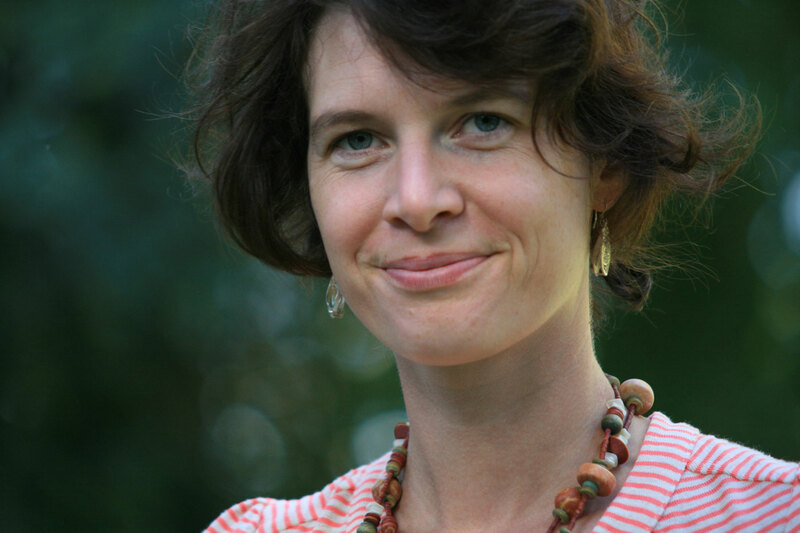 His son François joined him in 1996, followed by his two daughters Delphine and Magali. 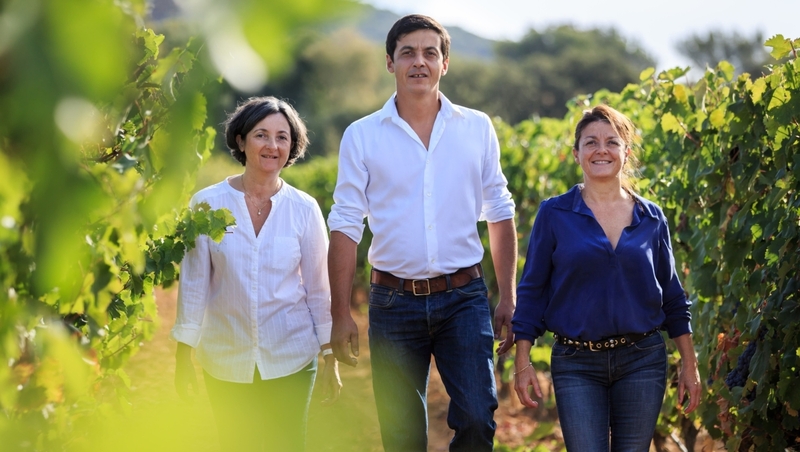 Family succession shares the same objectives: “to produce great wines while respecting nature”. Atmosphere: rosé sparkling wine – Traditional method – Second fermentation made with grape juice of the same vintage only, and no use of sugar nor concentrated must. 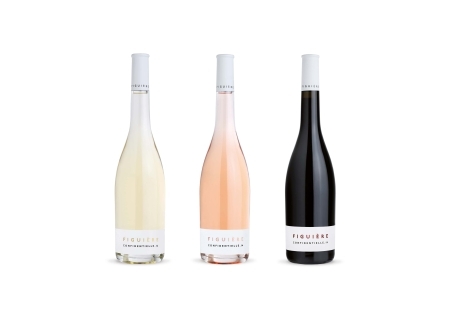 Confidentielle: white, rosé and red wines made with the vines planted on specific schistose soil and quartz. Made with local grapes from the estate vineyard in organic culture; Rolle for the white, Mourvèdre, Grenache and Cinsault for the rosé, Mourvèdre and Syrah for the red. 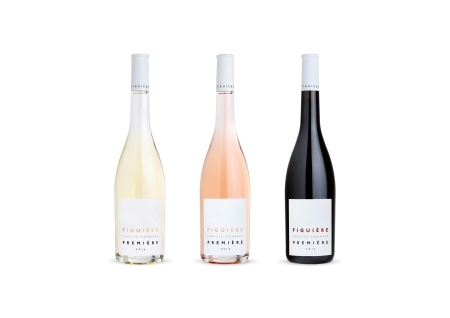 Première: white, rosé and red wines made with estate vines only. 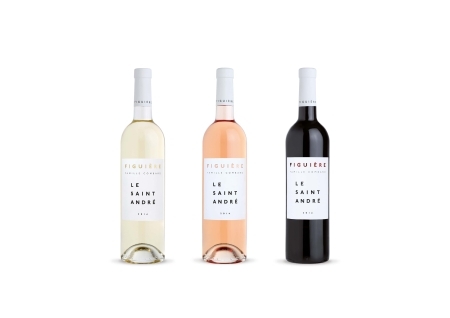 Organic wines carrying all the history of Saint André de Figuière, the oldest blends of the Domaine. Apart from the Semillon, all grapes are local with a majority of Mourvèdre in their rosé and red. Signature: white, rosé and red wines made with neighbourhood vineyards, carefully selected. 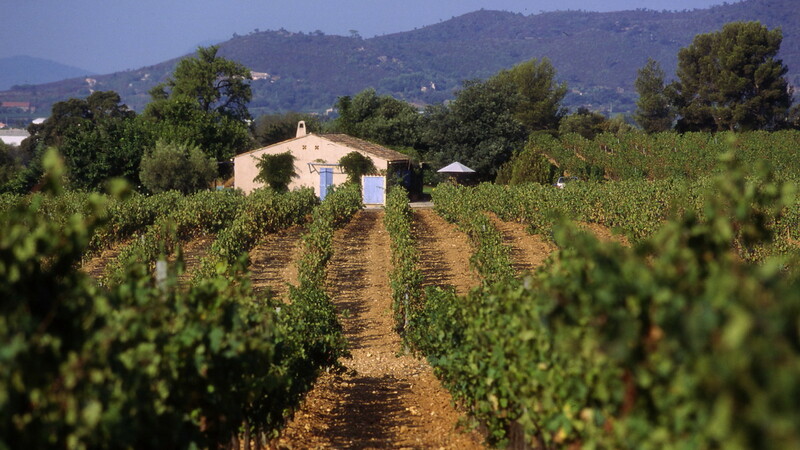 Grapes are bought on the vines, and manual harvests are performed by Saint André de Figuière’s people. Saint André: white, rosé and red wine made with vines located more in-land, carefully selected. Wines are aged and bottled at the domaine.